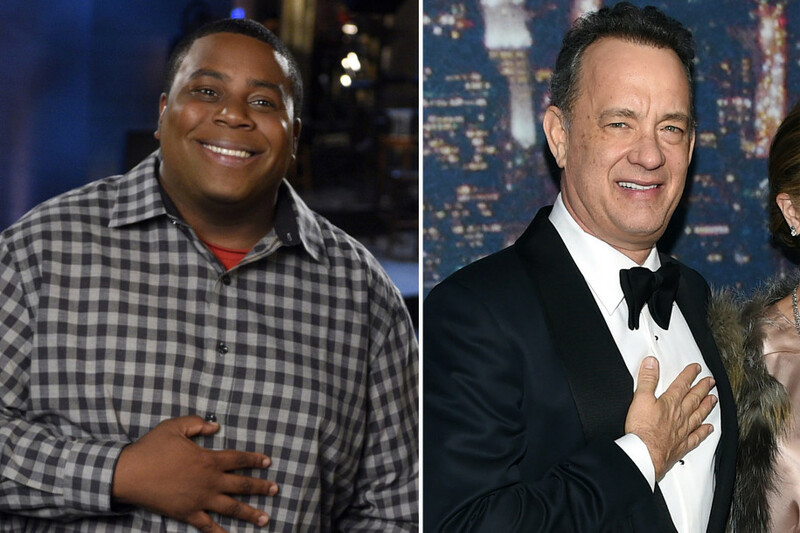 While Kenan Thompson has spent the last 13 years making us laugh on SNL, many also know him as one of the original cast members of the Nickelodeon sketch-comedy classic All That. 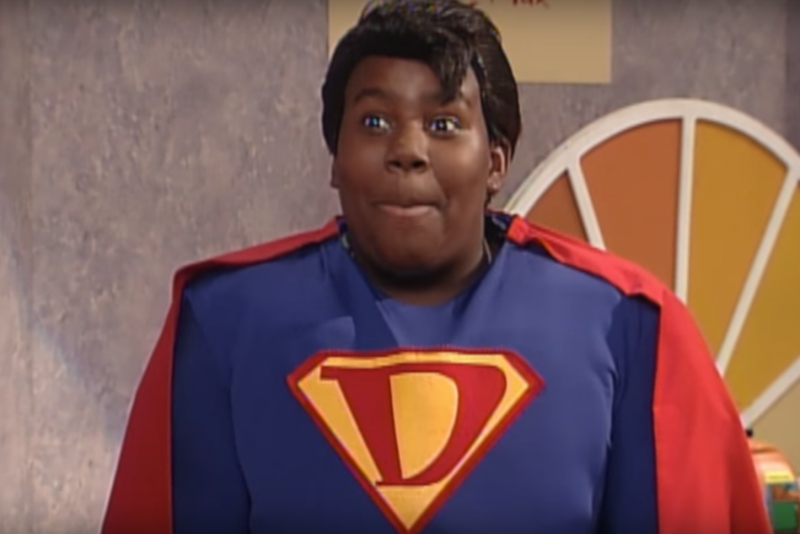 Characters like Pierre Escargot, Superdude, and Miss Piddlin made kids of all ages burst into fits of laughter, eventually leading him and fellow cast member Kel Mitchell to their own show, Kenan & Kel. Here, Kenan takes a stroll down memory lane back to his earliest of glory days. Wetpaint: You’ve been doing sketch and improv seemingly your whole life. When did you know comedy was something you seriously wanted to pursue? 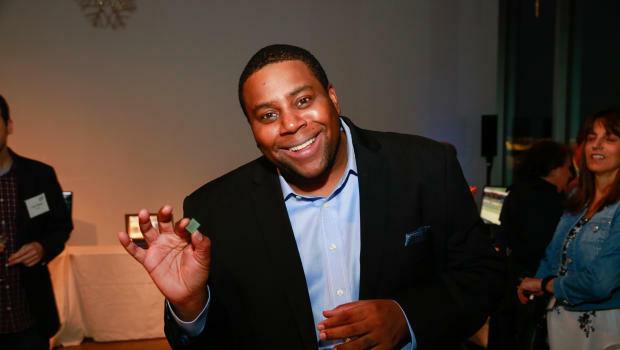 Kenan Thompson: I didn’t take it seriously until I got on Nickelodeon and saw that it was a real business. Before that, I just wanted to be on TV because I liked watching TV as a kid, like Double Dare and stuff like that, as opposed to becoming a writer and crafting my own sitcom and having that whole business aspect of the whole thing. I was unaware of that whole process. I guess I was just a young, fun-loving kid! Me and my older brother was always quoting Coming to America, Spies like Us, 48 Hours, and all those movies, just having fun amongst ourselves. Do you keep in touch with your old All That cast mates? Yeah, me and Josh [Server] have always been really close and me and Kel [Mitchell] are really close. We had a reunion with everybody else recently, and it was nice to see everybody I haven’t seen in some years. Me and Danny Tamberelli played the guitar, he’s teaching me the guitar all the time. So yeah, there’s a little pocket of friends that I still kick it with. What was the dynamic between you and Kel like coming up as a comedy duo? It was awesome, because we were that close in real life. We spent a lot of time together and our families are very, very similar, with the only difference being he’s from Chicago and me being from Atlanta. Both of our mothers are very short, strict women. We’re both very family-bonded and we recognized that the first day, and we just started kicking it from there. How did you initially link up with The Cristian Rivera Foundation? The organization is dedicated to finding a cure for a horrible, horrible disease. It’s a brain tumor kids are getting on their brain stem. The survival rate is very, very low. I knew Cristian, I know his father. His father used to actually host a couple of the clubs I used to go to. He was always really nice to me and I lost touch with him for some years and ran back into him and he told me what happened. What made you decide to become a board member? When I ran back into him he invited me to be on the board and I was like, ‘yeah, sure!’ Cancer is a close issue for me; I’ve lost a few family members to it. Just to hear that this particular disease is targeting children is a horrible thing. It seemed like a no-brainer, it’s not like I have to do much.You know, show up and try to raise awareness is the least I could do. How important is it for celebs and those with a platform to support meaningful causes like this? I think it’s of the utmost importance. What else are you going to use your platform for than what you’re already putting out into the world? If you can use it for some other kind of positive thing, it should be almost mandatory. He’s currently using his celebrity to raise funds for the Cristian Rivera Foundation for pediatric cancer research. The New York City-based The Cristian Rivera Foundation hosted an event on June 13 in Hoboken to raise money for a cure for a rare, inoperable brain stem tumor. The event, held at the Zylo Tuscan Steak House, helped raise $55,000 for a cure for Diffuse Intrinsic Pontine Glioma (DIPG). 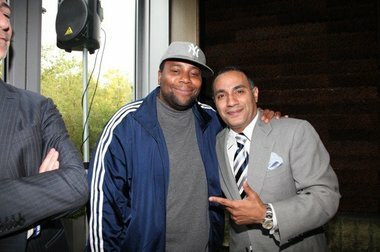 Saturday Night Live’s, Kenan Thompson, and Real Housewife of New Jersey star, Danielle Staub were in attendance, with a featured performance by past ‘Sinatra Idol’ winner Eric DeLauro. New Jersey Devils Captain Zach Parise made a surprise appearance to auction off an autographed hockey stick and jersey. The money was donated to the Pediatric Brain and Spine Center at Memorial Sloan Kettering and Weill Cornell Medical Center . “With all of the hard work and passion we see from the Cristian Rivera Foundation and especially its founder, John “Gungie” Rivera, I have no doubts we will realize our dream,” said Dr. Mark Souweidane in a release, who has dedicated his career to curing DIPG, which has no known survivors.